The mother of all giveaways has arrived in time for Mother’s Day! Dear, dear readers that’s not a typo you read in the headline of my post. One lucky, lucky, lucky, lucky, lucky, lucky, lucky, lucky, lucky, lucky, lucky, lucky reader will win a prize package from MyPublisher worth nearly $600.00! Yes, I said “lucky” 12 times because you’ll get 12 months of photo books! I was so excited working with MyPublisher to come up with this prize package in honor of Mother’s Day and I appreciate the company’s generosity to our readers! I love spreading the photo book love, especially when I know it’s a prize I would be personally excited to win! I’ve written numerous reviews on MyPublisher’s products. My very first photo book was created with MyPublisher about 8 years ago as a present for my mom and I’ve made lots of books with them since. You may have heard recently on my Facebook page that MyPublisher was recently acquired by Shutterfly. Although it had already been made public, I didn’t realize that I had actually posted the news on my page before either company had posted it on their Facebook pages. Boy, I had no idea what kind of response it would get! Lots of folks expressed their hope that MyPublisher would still retain its own identity and its quality products. I’m sure the folks at MyPublisher appreciate the loyalty shown by their users and I’ve been assured that production of the books and the software will remain the same. You can read more about it here in their own words. I had already been working on this giveaway with the company before the news came out as these promos take a while to develop, so the timing of this was unintentional, but I think it shows the company’s commitment to its users. ENTER MY CRAZY AWESOME MYPUBLISHER GIVEWAWAY! One (1) darned lucky PhotoBookGirl reader will receive a $49.99 photo book credit each month for a full year! That’s $49.99 x 12 folks! You can use it for any hardcover photo book on MyPublisher’s site. Use it for a Classic Hardcover with lay flat or super gloss paper – whatever you want for a full year! Create a twelve-volume set of past family vacations, make that series of baby books you haven’t made for your toddler yet, or all those wedding albums you’ve been planning on! Check out MyPublisher’s photo books and come back here to comment below – IF YOU WON THIS PHOTO BOOK BONANZA, WHAT WOULD YOU MAKE? This giveaway is open to anyone 18 or older. No country restrictions (so it’s international but please check if MyPublisher ships to your country if you have any doubts). Void where prohibited. Void in Quebec. Entries must be received by Tuesday, May 14, 2013, at 11:59pm CT and any entries not in accordance with the rules will be disqualified at our sole discretion and at the discretion of the sponsor. Winning entry will be chosen using Random.org. After compiling the results, I will announce the winner thereafter and will email the winner. The winner will have 48 hours to respond or I will redraw another entry. Canadian winner may be asked to answer a skill question to be eligible, to comply with Canadian laws. Codes only applicable towards hardcover books. Winner will be issued a monthly code for the appropriate value. Each code will expire by the end of each month and final code will be issued for April 2014. May 2013 code will be valid through June 30, 2013. Cannot be combined with other promotions. May be used towards shipping costs. Shipping varies by location – see MyPublisher site for details. Winner may apply code value towards a higher priced book, and pay for any additional charges. Full value of code must be used in single transaction. Disclosure: I am an affiliate of the company. The links on these pages go to the company’s sites. If you click on a link to MyPublisher’s site and make a purchase, I may receive a referral fee from the company. Regardless of affiliation my opinions are always my own. BEST OF LUCK TO EVERYONE! Wouldn’t it be awesome to see a package like this every month on your doorstep! Required entry – If I won I would catch up on photobooks for past vacations, and also make a few art books with my nature photography which I never have room for in family books. I have an eight month old baby, so I’d definitely make a photo book for her first 6 months or year (maybe both!). I’m behind on my yearly books too, so I need to do 2011 and 2012 books. Already a subscriber to your newsletter, name Kristie. I would love to make our albums for the kids! I would make classic hardcover books from past vacations as well as the adventures to come this summer. It would be wonderful to finally hold my memories in my hands. I am a fan of mypublisher on facebook. I “like” your page on facebook and really enjoy all the updates and heads up about great photo deals. I appreciate all the work you put into it! Oh, what fun! I love the classic hardcover book with the lay flat pages option. And the minis, for my daughter. I would definitely get all the pictures OFF of my computer and into some albums! Just checked out MyPublisher for the first time. I’m so back-logged on photo albums right now that I’d love to catch up. My 2 1/2 year old keeps asking where her picture books are. I have tons of pictures but haven’t done anything with them yet! Required entry- I would catch up on all of our photobooks from the last 2 years. I am very behind on the kids’ books, so that’s probably where I would start. I’d use a couple for year-in-review books, and then probably save one to FINALLY document our trip to China in 2005. Winning would keep me busy in a great way! I would make a photobook for all our wedding pictures from our wedding in Hawaii last Fall. I would make some travel books from our trips. This would be great! I have two vacations that I have not started a book for, so that would be 2 of the books. Or since I have so many pictures, I could make a series of books! Also, I love to take pictures of my pups lounging around, dressed up for holidays and at play. I could make 12 books with just puppy pictures! I liked you on facebook a long time ago, under Cynthia Bartin. I would like to make books for each of my daughters (22 & 25) from baby pictures to current pictures. I would make photobooks of past and future vacations! Or maybe convert some of my smaller photobooks to larger ones! I would continue making my monthly photo book of our family. I am a fan already. My name is Leigh Everson. I am a facebook fan of MyPublisher already. My name is Leigh Everson. I subscribe to your newsletter. My name is Leigh Everson. Finally, finally get around to making photobooks of all our roadtrips. AND print each at least 3 times: one copy for us, one for each grandmother. I am soooo excited about this giveaway. Based on having read your reviews about mypublisher in the recent past and the fact that my photographer recommends the company, I will be making books about a daughter’s wedding, family pics, the grandbaby, etc. for a while and it would be great if they were free!!! Wow, what an amazing deal! I would make books that have been building up on my computer for a loooong time! Mostly of my dogs!! Signed up for your newsletter. YAY!! ‘Liked” Mypublisher on FB – Wow, they look great!! I love shutterfly so this will be wonderful!! I just completed my first MyPublisher book & am ready to order! Eagerly waiting the results based on the positive reviews I have seen. I will be printing yearly books + portfolio books for my photography. I would make a classic book a month for a year. I wouldn’t have to worry about the highlights, I could document everything! My photobook liker on facebook. If I won this super amazing sweepstake I would use it to make books of my daughter who will be born mid-July. All my family lives in a different continent so I would love to share with them as many precious moments as I can and making a photo book would be just wonderful!!!! I already follow your facebook page. My name is Inmacuada Perez Osuna. I am also subscribed to your newsletter. My name is Inma Perez Osuna. I’m already a fan of My publisher on facebook. My name is Inmaculada Perez Osuna. I would use my credits to make each book of the highest quality! Deluxe hard cover with super gloss printing, usually I only opt for what is on sale. For the first few books, I would redo my wedding albums! Technology has come so far since I got married! I’d love to order my family copies of the wedding album I prinyed on mypublisher if I won. Also, I would create some custom story books for my 1 year old daughter! If I won, I would make classic photo books of our vacations trips from last year as well as this year. I’d also use the mini books and make gifts for family. I already am a fan of you on Facebook; my name is Sally McCormack. I am a fan of MyPublisher on Facebook; my name is Sally McCormack. Exciting contest! I have so many that I need to make, but first I would make a smaller album of pictures of my daughter from when we adopted her in China at 14 months until now when she is 9. And I’d make 3 copies — one for her, one for us parents, and one for her Foster Mother in China who took such very good care of her and showed her such love for her first 14 months — and who we will meet this summer in China for the first time! Then after that a large format lay flat of our trip to China. That one may take several books. I’m already a subscriber! Always such good ideas and deals! Hello. Thank you for this opportunity. I looked at the MyPublisher website and the books are quite lovely. If I were to win this contest, I would make several photobooks on the following topics: a “siblings” themed photobook (I have 4 children ages 3, 6, 10, 13); grandparents photobook so that my children can remember their grandparents and pass along those memories/legacy; a biography about mom and dad (my husband and me) and our story; a photobook about the simple everyday adventures of real family life; a photobook about our travels to national parks and local state parks and outdoor adventures on nature. I take so many photos that I think I could do multiple volumes on any of the above topics :). Thank you for considering me. I already liked MyPublisher on facebook! Just visited the My Publisher website — I would make a book of my daughter’s engagement. I’m been a subscriber of your newsletter for awhile under patti. Thanks for your great advice! I already follow you on Facebook under Patti Nakamoto. I am fan of mypublisher on facebook (rivka deutsch). Another idea I could do with the books is to “publish” stories that my children could either illustrate, or act out in photographs. They would really love that! I would make photo books of my grandchildren if I won this wonderful giveaway. I already subscribe to your newsletter, Darelen Willner. Thanks Photobookgirl for being so helpful to me in my photobook making. I found MyPublisher through you and have made 3 books that I have been very pleased with. I have a backlog of vacation, mission work, and family pictures that I would love to use plus my dream book would include scanned old family photos that I could then gift to my siblings. I am new to photo books. I am excited to create my first photo book about our first Disney vacation. I am interested in MyPublisher and am investigating their web site. Thank you for the information! 🙂 If I won this photobook bonanza I could create a life time of memories for my children. I subscribe to your newsletter. It’s great. I am a new follower to the MyPublisher facebook page also. If I won, I would make my son’s 1st year scrapbook (he is the same age as PhotoBookBaby), a new wedding book, and lots of family scrapbooks. Plus books for baby #2 who is arriving in September. I just “liked” MyPublisher on Facebook. I have used My Publisher before and love their product and their website. I have been a genealogy nut for some years now. As a result I have acquired many of the treasured family pictures. If I won the contest, I would publish a family history book for my kids, grand kids and my extended family members. I liked the MyPublisher facebook page as Sue Reim. I am already subscribed to your newsletter as Pat W.
I filled out the comment that was the original entry but it disappeared when I entered the next comment so I am entering again. I am sorry if it is a duplication because it is not showing. I hope to do books using my backlog of photos from mission work (disaster relief and Uganda), vacations, and grandbaby photos. My dream book would use scanned old family photos that I could then gift to my siblings. I already like you on Facebook under Pat Wilson. i like and follow you on Facebook under Pat Wilson. I like My Publisher on Facebook under the name Pat Wilson. I just visited My Publisher website and I would first make a book of the last photos my husband and I took while on a-photo-a-day project. I subscribe to your newsletter under the name Thelma. I would download the new KeepShot App and create books on my iPad. I now make books 3 or 4 times a year on Shutterfly. I have lots of pictures of my grandchild from Followgram and now I am going to have a second one! I take lots of iPhone pics, so there will be no problem using 12 books. It would be a month by month chronicle of what is happening in our lives. I left a book review on Shutterfly under Pat Wilson. I just visited the My Publisher site and would make a book of our old wedding album. Been married 32 years this month, and the wedding photos are starting to fade! Want to preserve those memories in a photo book. I already subscribe to your newsletter–that’s how I found out about this awesome giveaway! Subscribed under “Lori” I believe. I commented on Snapfish photo books. I have never used MyPublisher (just check it out) and this would be a wonderful opportunity to organize my photos into something beautiful by themes like Nature, family, travel, etc. Thank you. I do subscribre to the Photobookgirl newsletter under my name – mariac – for a while now and it has been very informative and helpful with my projects. I love my publisher. I would make a photobook of my grandson. He’s 2 1/2 for my daughter. She never did the standard 3, 6, 9 month pics, etc. But grandma’s camera never stopped clicking and I’d like to give her a collection of these pictures. I’m definitely fan of MyPublisher – for starters, I’d stop procrastinating and finish my photo album for a trip to Italy that I took 6 years ago! From there, I’d continue feeding my photo book addiction with one for each of my three nephews as gifts for their parents… and start taking care of all the miscellaneous photos that I’ve taken since getting a digital camera in college that I’ve never printed! Hopefully by the last month, I’ll have a baby and can fill an album with photos of him or her 🙂 Thanks for the giveaway! I’ve “liked” you on facebook! My name is Laura Seliski. Despite some fantastic promotions I have yet to publish a photobook through MyPublisher. Had a look at their site and quite fancy trying out their 11.5″ x 15″ hardcover for my upcoming annual “our year on the island” book at the end of May. If I were to win the competition I think I would look at spliting our 13/14 annual book into 12 monthly ones and take on the challenge of keep a consistent design across the months but still reflecting the changing seasons etc. I’ve already liked MyPublisher on facebook. Name is Laura Seliski. visited MyPublisher website. I already use them and like them. I would love to make memory books for my teen daughters to catch up on the parts of their lives I haven’t put into a photo book. I have been very impressed with the quality if MyPublisher in the past and would be so thrilled to win this! I would make a wedding album and gifts for the people I love. Awesome giveaway! I subscribe to your newsletter. Love the baby mug. Wow… what a great deal!!! I am expecting my first grand babies (TWINS) in Nov. That would be a great start for the books. Birthdays, trips, parties, 6 generation of family. You name it, I have the pictures. I haven’t yet tried My Publisher. While I typically do 12×12 pages, they do not have square books (probably why I haven’t used them). I like BIG albums, so I’d go for the Deluxe with lay-flat pages. I have 2 Disney books that I need to get printed, so they’d probably be first on my to-do list. I have 3 kids, so I’d like to print one for each of them. I’d also like to make family books for my parents and in-laws. I have a friend getting married…and a new niece, so they’d be on my list, too. I am a subscriber to your newsletter. I always look for your reviews before trying out a new photobook publisher. I already “like’ you on Facebook. My name is Andrea Codispoti Clark. I “like’ My Publisher on Facebook. My name is Andrea Codispoti Clark. I actually just ordered a 100 page, classic photobook with deluxe paper from MyPublisher two days ago of our January trip to Orlando! If I won, I’d get the same type to have a nice series…though I’d love to try out the larger format just once! If I won the Photo Book Bonanza I would start to make photo books of all the activities of my children and grandchildren. I’m already a subscriber to your newsletter and enjoy it very much…..Lena Salvacion. If I won, I would make the classic photobooks with my kids’ photos from babyhood to now. If I won, I would make an engagement photo book of the story of my fiance and I.
Photobook Girl motived me to make photo albumns. I really enjoy using the Photobook Girl specials and tips. I have looked over My Publisher several times before the contest and again now, and have been planning to use that company for my next albumn: Celebrating 40 yrs of pictures of my youngest daughter for her upcoming 40th birthday! If I won, I could have photobook alumns for all of our pictures…all pictures in ONE SPOT…on my coffee table to enjoy for years to come!! Thank you for this opportunity! I have been a member of your newsletter group for a couple of years and LOVE it. Also, Love the fact that you reply so quickly to my questions!!! I use the name of Gene! Thank you and enjoy your Mother’s Day!! I just joined mypublisher on facebook….never thought to do that w/any of the companies…YOU photobook girl are the best at teaching and motivating me! My password is j**********. Enjoy your baby girl…they grow too fast!! I just ‘re-liked’ you on facebook!! I love getting news from Photobook Girl…especially since I feel like I know you! Happy Mother’s Day to your Mom, also!! My password on facebook is jimbos Thank you for this opportunity! I left a review on Mixbook’s. Thank you! I have several books I’m working on right now that I’d love to use these credits for: A weekly ‘day in the life’ type book for the year of 2013, Our family album for the year and a book for each of my 4 children’s pictures. I really like My Publisher’s photobooks and if I won I would make a graduation book, a vacation book, and many yearbooks. I need to catch up. My name is Karin and I subscribe to your newsletter. I like you on facebook and my name is Karin Slusser. I commented on Photobook America. I would create themed books of my family and try out the various options with MyPublisher. So many too choose from! I already subscribe to your newsletter. Name: Karen. Love it. So many useful tips and information! I will do travel books. We’ve traveled all over the world this year and I love to make books afterwards. By having 12, I can keep it fresh and remember stuff before I wait too long! I already like you…LOVE your posts too! I love the My Publisher books! They look so professional and high quality. I am waiting on a book I made of our trip to Moab and National parks last November. I tried the lay flat pages since I had a few photos that spanned two pages. I also got the gloss paper because they offered it to me for only $5 at checkout. I have so many books I need to make. I promise one to my grandkids all the time! I would love to have this prize! I do hope that the merge will not change much. I like both My Pub and Shutterfly for different reasons. I already receive your newsletter, but I also have you on my homepage and watch the updates all the time! I am Joyce Walth. I am already a fan on FB. I am Joyce Peterson Walth. I like MY Pub on FB. I am Joyce Peterson Walth. I would create a series of photobooks for every year after I stopped printing photographs to place into albums as an archive of each year. There are too many good photographs sittings on my harddrive and they deserve to be displayed in a MyPublisher book!! I would get the deluxe 11.5* 15 with lay flat pages. My dad’s 60th birthday is coming up and in my culture its a huge celebration. I hope to document every precious moment to celebrate this milestone in his life. If I were to win, I would make photobooks of my favorite photos from the past few years. I’ve been meaning to make one for each year for a long time but haven’t gotten around to it yet. It would be great to finally get those photos off my computer and into a format that I can easily flip through! I’ve made a few books with My Publisher and love the quality. Have several I need to make for my grandkids. I would make a new photo book for my son every month on a different adventure we’ve taken or his daily life. I have photo books for big life events but have always wanted to have personal storybooks for my son. Entry #2 – I subscribed to your newsletter under my name, Beckie. Thanks!! Entry #5 – I entered my review of MyPublisher (via my Twitter account – username “artbeckons”). Thanks again!! I have so many books to make. This would be great incentive. I have adventures to Peru, Japan, Disney trips and soo much more to catch up on. My Publisher is one of my favorite photo book companies as the quality is so high. Those lay flay pages are awesome! I created two MyPublisher books and had a great time! If I won this contest, I would create books for my travels. I haven’t printed out pictures in years! I just posted a review on MyPublisher! If I won this giveaway, I would LOVE to make photo books of all my husband and I’s travels around Asia. We are living in Japan for 3 years and have thousands of pictures from Thailand to China to the Maldives and more just waiting to be published in a beauftiful book to last a lifetime. Thanks for the fantastic oportunity! If I won this contest I would make family heritage books for each of my kids. BTW I am in love with those leather covers…oooh so lovely! Entry #2 – I’ve subscribed to your newsletter under the name Karissa. i would love to make photo books of the different countries we’ve visited. our latest trip was to the holy land and i would love to have a special photo book for that special time. I’d make a 1 year retrospective book for my daughter. I’m a facebook fan… name is Stephanie Chow. I’m a MyPublisher Fan… name is Stephanie Chow. Posted a review on Shutterfly! I would make books for my friends and family. I love to make books. I think there should be classes on how to make a book that you can sit in on. more helpful tips should pop up. I think if books were easier to make I would make more. I would love to make a years worth of books documenting my daughter’s life. I think it would be a lovely keepsake for her and for us! The possibilities are endless when it comes to making photo books. The first one I would make would be for my nephew’s engagement. Then one for his wedding in November. I also have many old photos that I would like to arrange and make books for different family members so they could have copies of those photos as well. It’s such a great way to scrapbook without all the added cost and mess that it takes to do traditional scrap booking. if i win, i will make a book for my family for the last 11 years and this year. I’m a young photographer, and I would love to be able to print my favorite photo’s on beautiful paper bound in hardback, so that they are never lost. Furthermore I would love to be given the opportunity to document my last 6 months of teenhood before I go to uni and have to become an adult. #2 liked on facebook tanya t.-u. #3 liked mypublisher in faceboook tanya t.-u. I LOVE MyPublisher, and would use the prize to make monthly books for my new little one due later this year! I did a photobook a month for my oldest, and definitely want to do it for this one as well! I have been looking at mini-books for ages. I’d really like to make one with my collages in it, so that I could carry it with me to show gallery owners when I’m visiting. Great way to promote my art. I’d also like to do one for my husband’s 70th birthday, with a timeline of his life to now. I’ve now subscribed to your newsletter…yay! ….AND I’ve liked you on Facebook. If I won this I would be so excited!!! I could catch up on baby’s first year album and get working on second year album! Not to mention a book about my pregnancy, babymoon, upcomming trip to Disneyworld… so many memories!! I subscribed to the newsletter through Bloglovin, I Liked you on facebook, I liked MyPublisher on Facebook. Thats 4 total entries now! I would most likely make the classic 8.75 x11.25 books for vacations and catching up with the kids photos. Plus kid photo art books, there’s so much to do! I’m already your facebook fan, name is Nissa Lind. I already use MyPublisher for our family yearbooks. I would most likely order a classic hardcover and order ‘monthly books’ – split up from what would have been one big yearbook. I can’t believe that I haven’t liked MyPublisher on Facebook yet, but I just did. Oops! My FB name is “Marie Aragones”. Sorry, I saw this requirement just now. I would make books of all the travel photos that I have. Required: I would use the prize to catch up on all my past vacation photobooks I haven’t gotten to make yet, and make new ones for this year. I love my vacation photobooks, and family always asks to see them. Optional #1: I subscribed to the news letter! Name is Arie. I thought I’d already done that, but I guess not. Glad I’ve done it now, though! Already like you on FB. My name is Erica. Liked My Publisher on FB! My name is Erica. I added a review to the Mixbook page. I have been collecting photos of my awesome little boy and would like to put together a custom baby book for him using the MyPublisher layflat pages. Thanks for the chance to win! I would make the 8×11 books. I would use them to capture the time when our extended family is together. That would be one for christmas, thanksgiving and the summer. I would give a copy to my mom and one to my brother. I do this already of course and the kids (my nieces and nephews) sit together and look at the pics with their dad and laugh remembering our family times. My mom and dad look at the books all through the winter and laugh and remember our times together. I look at them with my own daughter from time to time and can’t believe how much everyone is growing and changing. I’d also catch up on my daughter’s year books (she is almost 7 and I am on year number 4. I’d also do a kindergarten book that i’d share with her class. there are so many other books waiting to be done……..but those are the ones that come to mind quickly! I am in the process of scanning boxes of old pictures from my grandmother. I would like to make heritage books and give them to family members this Christmas. I would start by making a large album from my honeymoon! I just became a MyPublisher fan on Facebook: Meredith Raccoon. IF YOU WON THIS PHOTO BOOK BONANZA, WHAT WOULD YOU MAKE? Baby books for my 4 year old and my fetus due November. I would use the MyPub photo books to make books of all of our trips! The past two summers, we have gone on month-long vacations and both times I made a series of photo books. I would do the same with these. I would love to create a suprise book for my husband from the beginning of our relationship to our marriage. I created a My Publisher wedding book, our son’s first three months, and son’s first year of life so far. I’m in love with My Publisher books and quality. Added a comment on your listing about Canvas on Demand, as well as their website. I would make a Family Faces board book for my daughter. I would make a Year in Review book for her first year. I would make a colors book…. Oh so many options! I would start with the board-style as she is one and LOVES to wander around with books, sit on our laps and read aloud. So precious. Thanks for the amazing giveaway. If I won, I would [finally!] release all the pictures held hostage on my computer and share sweet memories with my family and friends. 12 photo books would be a good starting place. I commented on the Shutterfly post with my review of a book I have from them. I would make books of places I’ve been to on vacation in the past year. I already “Like” you on Facebook as Patrick Howell Lee. I already “Like” MyPublisher on Facebook as Patrick Howell Lee. I would love to make some deluxe books with the lay flat pages! I like my publisher on FB too. My name is Mauralee boersma. My name is Mary Gimenez and I’ve “like”-ed Mypublisher on Facebook. More power! I am one of your followers and am already a subscriber to your newsletter. I subscribed to your newsletter. Mauralee. My name is Mary Gimenez. If I win the Mypublisher Photobook Bonanza, I would have the opportunity to make photobooks of all of my scanned photos since I was a baby (and that’s a lot of photobooks!0.0) It’s part of my bucket list to finally compile all of my photos into a hardbound “coffee table”-style photobook and share it with my family and friends especially when they come by and visit. My family don’t have much, so, this is my chance to publish them without breaking the bank. My name is Nina and I already subscribe to your newsletter! I would use this to catch up on 2 years of family albums, vacation books and birthday memories! If I would a series of travel and family photo books. Thanks for the great giveaway. I would try to make a set of books of my kids adventures for the upcoming year and catching up on previous years. If I won this awesome prize there are many things I would make. A book about our Disneyworld trip last week, a book for each of my kids from preschool through kindergarten, a few books for geneaology purposes both for documents and historical pictures of different lineages, Year in review books for 2012 & 2013, and also with this many options I would probably review some of our other family trips through the years (North Conway, NH; Sesame Place, various National Park trips…)! I am already a Facebook subscriber for your site! I already Like My Publisher on Facebook as well! I subscribed to your newsletter (Rochelle K). If I won, the very first book I would make would be of a Mexican cruise that I took in December 2012. This would be my motivation to get it done. If I won it would be so so amazing. I have such a backlog of books I want to do including some big ones like a wedding album, a baby book (for our almost 5-yr-old! ), a bunch for my relatives from my Grandfather’s old slides that I’ve been scanning from the 1940’s-1970’s.Baby books for my husband & I to show our son (it’s never too late to make a baby book right?) I’m about halfway through digitizing old photographs of my husband & I so it would be great to do something with them. What an amazing prize. Thanks so much!! IF YOU WON THIS PHOTO BOOK BONANZA, WHAT WOULD YOU MAKE? I would make a baby book for my 14 month old, do vacation photo books for our trip to Italy and our vacation this summer, a family year book for 2012, finally finish our wedding photo book, and several photo books as presents for family. I “liked” you on Facebook (Rachel Morris). I “liked” MyPublisher on Facebook (Rachel Morris). If I was lucky enough to win, I’d make a different lay-flat Classic Hardcover each month, with the glossy paper. Thanks so much for this contest! I am already a subscriber to your newsletter, as Laura H.
I left a review of Mpix. If you won this photo book bonanza, what would you make? Wow what a gift for some one.I would make books of our travels, and the photos I regularly take around my area. I have just signed up for your newsletter. Amazing giveaway! If I win, I will make albums documenting each month of the year for my family. With the recent purchase of my first Digital SLR camera, I would do a photobook using MyPublisher of my journey to learn my new camera. I love MyPublishers ‘just Published’ page, for real life inspiration. I already liked My Publisher on Facebook. I checked out he My Publisher site. If I won, I would chronicle 2013 in pictures and make a mother’s day album for my mom. I wrote a review for Blurb books. I wrote a review for CanvasDiscount. IF YOU I WON THIS PHOTO BOOK BONANZA, I would make yearly family photo books. I’m already behind quite a few years so I would need to play catchup for sure! I already like you on Facebook, Vanessa Ferguson. If I will I will use their awesome layout tools to make books of the trips my husband and I have been making on our quest to visit all 50 states. I liked MyPublisher on Facebook, Vanessa Ferguson. I’m a Facebook fan of Photobook Girl. I’m a fan of MyPublisher on Facebook. If I won, I would get our Skiing Trip 2011 book printed and then work on a backlog of family vacation and everyday life scrapbooks. I am subscribed to your newsletter under the name Rochelle. I checked out mypublisher…been a number of years since I’ve used their service. I believe I would do a family history photo book. Or, some travel photos. If I won this photobook bananza, I would make photbooks of our past vacations and a vintage photobook of our grandparents and great grandparents! If I won, I would make books of my travels. If I won, I would make a few photobooks of old photos for my mom. My father passed away September 2012 and they were married for 53 wonderful years. My first My Publisher books were a set of two from her trips to Mackinac Island, Michigan and I was so excited that I didn’t even wait for a holiday to give to her–just had to share. I would catch up on some more recent pictures, after digital cameras came into being and maybe use two for me. As a mother, I know she would want to look out for me too! If I won this contest, I would finally organize all of family photos by year and create gifts for friends & family. Just became a fan on FB. Just subscribed to your newsletter and looking forward to reading it! If I won this entry, I’d make books for the special women in my life…3 daughters, my mother, and mother-in-law. thanks for the opportunity. I would make several photobooks with varied themes from baby birthday to art work, but if allowed, I would also turn some of my friends to the joys of bookmaking and sharing them too. If I won, I would definitely scrapbook my last couple of trips. I would also use some of them as gifts for family. THank you!!! HI! I just signed up for the newsletter today – Michelle P.
My family would use the books to help relatives struggling with Alzheimer’s remember the people, places and events from their lives that they sometimes forget or do not recognize. I signed up for your newsletter as one of my optional entries. Required Entry: If I won this giveaway, I would make a book about when my baby was born and a few wedding books. Thank you! I am already subscribed to your newsletter. My Name is Amy. I would make lay flat books for my daughter to read. i would make books of my pregnancy journey as well as photobooks of my baby and his milestones! If I won I would create family history photo books so that my living family can know their heritage. I like My Publisher on Facebook. I just “like”d you on facebook! WOO! If I won I would complete my 2012 and 2013 year books, a Japan travel book, Australia and New Zealand books. Using the medium size book with lay-flat pages and super gloss — so they match my other MyPublisher books! Love them!!! If I won I’d make books about my kids grandparents and family that live on the other side of the world. I’ve just become a fan of MyPublisher and I forgot to include my name Renee Budden. …I would be able to afford to put 28 years of my twins’ photos in slim, sophisticated photobooks & gift to them! I would update and expand a book of a lifetime of photos to my 90+ yr old Mom! If I won this contest, I would make family heritage,vacation and christmas books. If I won, I would make graduation photo books, vacation photo books, wedding photo books, and veterans photo books for my husband, children, grandchildren, nieces and nephews. If I won, I would catch up making photo books of past family vacations! I liked My Publisher on Facebook. I am a fan of of photobookgirl on facebook. I have bee using my publisher to make year books of my kiddos since my first was born in ’09. If I won this I would make a familytree book, I have been working on a family tree since around ’07. I would also make on from my Wedding and for every 5 years we have been married so 5,10,15, and 20 years. The others I would use for some friends. Wow what an incredible give away. I would use them to make books from my wedding and our 24 years of marriage. I would also use one for the vacation we are hoping to take soon. I have not been diving except to teach since we started our business in 2007 things have just been too tight. Also I would make my husband one. Wanted to for fathers day last year but didn’t have the money. I’d use it to make albums for my 2 children and the 2 additional children we are in process of adopting from Latvia. I am expecting my first baby in a few months, I would use the photo books to document her first year and our first months as a family of three! I have liked you on Facebook my name is Nicole Laws. If I won the My Publisher photo book bonanza I would make a book of my kittens growing up a separate book for my bearded dragon he’s almost 8 yrs old, a book of us, ( me & my husband since the day we met photo collection). and all the different subjects that I like to photograph, I would be able to get them in a book. Wow! that would be so cool! I like my publisher on facebook : ). Thank you for this very nice giveaway. I checked out My Publisher website. If I won I’d make baby books for each of my boys, a honeymoon book (from 16 years ago) and a trip to Italy book. And some others too. What a great giveaway! Would love to keep ordering the hard cover books that I already do, but would also try guest signing books for wedding clients. # 2 for the giveaway– i posted in page 7 and forgot to do # 2 and # 3 for credit!! # 3 for the giveaway– i posted in page 7 and forgot to do # 2 and # 3 for credit!! I ‘like’ MyPublisher on Facebook as Colleen Beatty Dooley. If I won I would definitely make the deluxe hardcover photo book, I would do one for every vacation. I have liked you on FB, I already subscribe to you newsletter and I would give the use one book for my 2013 favorite photos and give the other 11 books as gifts! If I won, I would make a photobook using our engagement photos, mixed in with photos of famous New Orleans landmarks, with lots of space and areas for our wedding guests to sign and write messages to us as a guest book for our destination wedding in New Orleans this coming October. I just subscribed to your newsletter & confirmed via email. I am already a facebook fan. My name is Judith Bostic. I’m expecting my second child this August, so I’d use the photo books to do a month-by-month of our bigger family adventures. Liked you on Facebook — Carrie Bass Mezvinsky. Liked MyPublisher on Facebook — Carrie Bass Mezvinsky. I’m signed up for your newsletter, under Carrie Bass Mezvinsky. If I win this amazing giveaway, I would make an annual yearbook (which I already do with MyPub) and 11 other books for myself, family and friends chronicling my new baby (due in July!). Wow, that’s a lot of books. I just had a baby last fall so if I won, I think I’d make a book for each of his months…I take WAY too many pictures for it to fit in a first 5 years baby book. I also added a review to Mixbooks. Thanks for the chance to win! Awesome giveaway! I’ve already given a Mixbook and Costco photobook review! I would finally make our Wedding photobook (after 5 years)! I would make ALL of my wedding books that I’ve been putting off!! I would also make photo books for my neice and nephew of their mom (who is currently very sick). My facebook name is Kristin Ashburn and I am already a fan of both photobookgirl AND MyPublisher on FB! If I won I would be thrilled! I would make photobooks for my 2 adopted children’s showing pictures I took of their birth county and all of the memories I was able to collect for them to remember their heritage. My facebook name is Lety Sanabria and I would use the giveaway to create my wedding & honeymoon book (11 years ago), a family history book and the rest would be of all the everyday & holidays memories with my kids. I am a fan of yours on facebook. Kara Henriquez. I am a fan of MyPublisher on facebook. Kara Henriquez. I would make yearly family books. I have been wanting to do that for a long time. 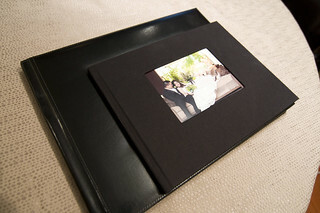 My first photo book was a MyPublisher book of our wedding. I am a subscriber to your newsletter (address is listed in comment field above). If I won, I would make a classic sized book with layflat pages for our family with favorite pictures from 2012. I like you and mypublisher on facebook. My fb name is liz lamphere lau. If I won, I would make albums for my two step kids and for my newborn (born in March). I’ve been making year in review albums for them, but I am behind! I’d also like to make an album of the pictures of me and my husband before we were married. I would use your inspiration, and the inspiration on MyPublisher to create a Family Holiday book – including both pictures AND recipes ! Oops – forgot to tell you what else I’d make! I’d like to make a Vacations Through The Years book, a book about the travels my husband and I have taken with our families, a book for my Dad with pictures of his grandchildren through the years, a book for my husband and I of OUR grandchildren through the years, and a book of the Nature photos I’ve taken. I have more ideas based on the MyPublisher inspiration – but I think those would take me months to create ! I’m already subscribed to your newsletter – and it’s great ! I just checked out the My Publisher site. I have several albums uploaded to Shutterfly with the intention of making family yearbooks, but haven’t made them yet. I’ve made other photo books including an ABC book for my kids. I’d also like to try My Publisher because the print quality looks great, which is important to me and I like the idea of not having to be online to work on the books. I have so many ideas for books, that I’d have no problem filling 12 books, mostly making baby books for my 2 kids and the 3rd on the way, some family album books, family vacation books, a coffee table art book of my preschooler’s creations, and I could go on and on. Thanks for the opportunity to win this awesome giveaway! I checked out the MyPublisher website and I am dying to try one of their lay-flat books. My FIRST book would be to make a wedding album for my best friend; I was her maid of honor and her photographer was a scam artist. She (thankfully) got her pictures, but not the $2000 album that she paid for. She came home from her honeymoon to see her photographer featured on Crimestoppers in her area. I’d love to gift her a wedding album! I just subscribed to your newsletter, Kat Pittman. I have been a fan of yours from the beginning, and would use this amazing prize to continue following along using your great examples to capture and record all of the fun and love our family has as we travel to different stages and fantastic places in this world! I also had a baby in the summer of ’11, so I’m sure his smile would frequent the pages 😉 We love to make these books to give to family members; memories are the best, especially if they look anything like your beautiful photo books! I would make a hardback book with those lay flat pages. Love that idea! My Mom said for all holidays last Christmas forward she only wants photo books. Last one I gave her was in 2008. I have some lost time to make up. I love My Publisher, especially the software! I would start books for each of my children to take with them of their childhood! I am a fan “like” of your on facebook and also for mypublisher- facebook name mw martell. I am subscribed to your newletter under monica. I used very frequently mixbook, shutterfly and snapfish. I have heard many great things about mypublisher and will love to give them a try. I would definitely catch up on the past years of pictures and make photobooks so that my daughters could enjoy reliving those past moments. I would also stay current for this year and make a photobook to add our new addition to the family, our little boy. I would definitely be making a lot of photobooks if I was the winner of this giveaway. Especially the fact that I would have the opportunity to make them since I am not working and I can not afford to purchase photobooks all the time, this was be so awesome! Thank you. I have so many books I wanted to make but one would be for my kids’ teacher who is retiring. I have 4 trips that still need to be in books and the last 7 would be year books-some of the years I have started and others are waiting to be done. I just made my first book with MyPublisher. My extended family loved it so much that I would love to make some for them. I get your newsletter:) Thank you for you all you do! I think I would do a photo book for every year since we’ve had kids because my oldest is turning 12 this year! My Facebook name is Alice Evans Russell and I’m a fan of Photo Book Girl! My Facebook name is Alice Evans Russell and I’m a fan ofMy Publisher! I subscribe to your newsletter – Alice! lots of special things thus year to make a book for, my 10anniversary, my granny will be 94yrs old, i am a homeschool mom so this would come in handy also,i take pictures everywhere i go so i can give some gifts out. Oooh! I love the lay-flat pages and I need to catch up on my kiddos books and get these photos printed so they can enjoy them! I’d work on an annual book for each of them and some special ones for our Disney trip, etc! This would be an awesome motivation to get on that!!! !